When you send someone a Chinese Dogwood Tree, the experience begins when they receive the specially-designed package, and open it to reveal your personal message and a beautiful living tree. • Among the hardiest of flowering dogwoods available. • Covered with 3" to 5" white blossoms in late spring. 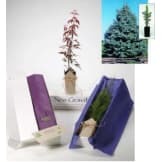 • Lustrous, medium green leaves cover the delicate limb structure of multi-stemmed shrub, or with training small tree to 20 feet. In late summer, raspberry like red fruit hangs from the branches. • Cornus kousa 'Chinensis' - Growth Habit: 6" to 10" per year. Zone: 5-8. Low Temp Tolerance: to -20F. 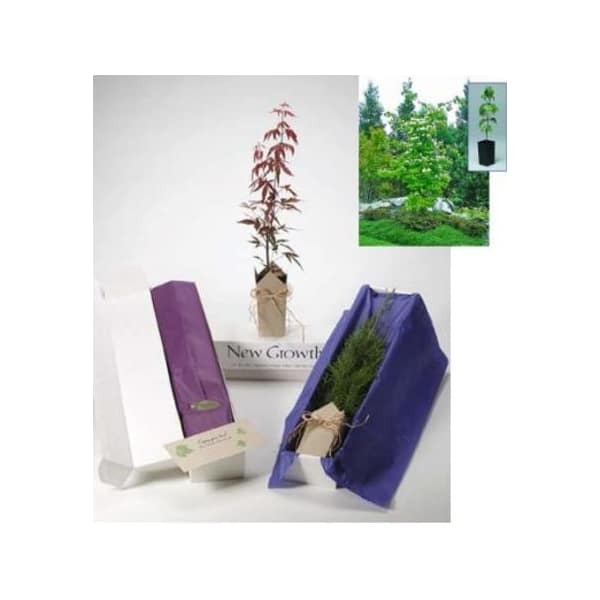 • The New Growth experience continues for generations as the tree grows and provides years of enjoyment for the gift recipient.